The Korg Kaossilator Pro is a revolutionary touch-sensitive X-Y interface that made sound manipulation more interactive and expressive than ever before. The Kossilator Pro is a powerhouse synthesizer, loop-sampler, live performance, music production wonder-tool. You don't need years of lessons to improvise a part. Just tap and slide away on the X-Y pad and let your musical intuition take over. The Kaossiltor Pro is capable of recording four sets of four-bar looped phrases, each with sound-on-sound over-dubbing capabilities, meaning you can build complex, layered grooves from the ground up. The Kaossilator Pro has PCM samples that provide dramatic drum kits and ready to rock percussion patterns as well as Vocoder programs that deliver scintillating vocal effects. There is also a gate arpeggiator that repeatedly triggers sounds in sync with the tempo. The unit also has dedicated software that lets you manage loop data, MIDI assignments, and user settings from your computer. Using the touchpad is highly intuitive - simply rub, stroke, or tap it to instantly create complex phrases with a single finger to control pro-level sounds including synths, drums, FX and other instruments. These sounds complement all styles of electronic and dance music including techno, house, breaks, hip hop, R&B, reggae, and electro. There are also numerous acoustic instruments such as piano, trumpet, and guitar, providing a further boost to your expressive resources. The Korg Kaossilator Pro is a fun and inspiring unit that is definitely worth adding to your gear. The Yamaha Motif has a high-quality collection of Voices, including powerful piano, EPs, strings, wind instruments, orchestral sounds, guitars, basses, and drums, as well as a wide variety of vintage and modern synth sounds provided from an enormous 741MB of waveforms. The Motif has two flash board slots accommodate two Yamaha flash board options, a 512MB board and 1GB board. The Motif allows you to achieve stunning acoustic instruments including expressive articulations that up until now have been difficult to re-create in electronic instruments. The synthesizer sounds include 18 different filter types, advanced 6-stage pitch, filter and amplitude envelopes, unique Wave Cycle feature and assignable modulation Control Sets. Yamaha's Virtual Circuitry Modeling technology simulates the effects of vintage EQs, compressors, and phasers at the circuit level. You can also connect a microphone to the MOTIF and apply effects to your voice or use your own voice to create harmonies. The Motif has a rich arpeggiator with over 7,000 patterns that expands the breadth of sound expression. You can use the arpeggiator to perform unique instrument phrases. By layering parts, you can give form to your composition ideas quickly. The Motif's Integrated Sampling Sequencer can integrate audio and MIDI data seamlessly. You can use the time slice feature to slice the sampled sounds that you load and control them in the same way that you would control MIDI data. With improved User Interface and many user requested features like Tap Tempo, Drum Editing in Mix Mode the Yamaha Motif is a synth highly worth checking out. The Korg Kronos is a workstation that comes with nine different sound engines and depth that a true synthesist could appreciate. One of the sound engines recreates acoustic instruments and has some really great features that sound amazing. Another impressive feature lets you change presets and patches while the previous sound still rings out. These smooth transitions sound very impressive and allow for some interesting live performance possibilities. The sgx-1 engine is a lush and realistic sound engine with options to even change the height of the piano lid. The ep-1 engine is a recreation of vintage pianos with selectable speaker cabinets. The cx-3 engine is an organ recreation with full drawbar control. The ms-20 engine recreates the synth of the same name and even allows cable routing to be done on the screen. One of the most impressive sound engines in my opinion though is the str-1 which recreates plucked acoustic instruments with surprisingly good results. 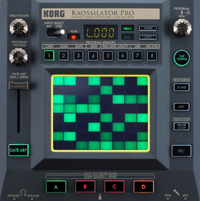 The Kronos comes with a 16 part sequencer capable of recording at 24 bit and uses Korgs Karma technology. I would have to say the Korg Kronos is definitely worth looking into. The Juno GI is a synthesizer from Roland sporting features such as D-Beam, 8-track sequencer, usb, battery operated and even comes with a copy of Cubase. The Juno GI has over 1300 sounds and most are very bread and butter type of sounds. The acoustic guitar and strings sounded particularly nice and responded well to velocity. The last bank of presets consisted of mostly sequences and splits that were truly inspiring at times. The keyboard itself feels sturdy enough and the keys have nice velocity sensitivity to them. The Juno GI also allows for outside sources to be recorded into an SD-Card. You can also apply the Juno Gi effects directly to anything running into its mic or guitar line input. It also has the ability to integrate directly into your computer for integration into your DAW making it really feel like an all in one solution. Overall the Roland Juno GI is a great sounding synth and worth having a listen to. The Accelerator is a synth from Radikal Technologies. Joerg Schaaf runs Radikal Technologies and also programmed sounds for Quasimidi's Polymorph. The new Accelerator synth sounds interesting and has some unique new features. The most notable feature of the Accelerator allows the user to lift either side of the keyboard to modify the sound. The act of tilting the keyboard to tweak the sound is an interesting concept indeed and could add a new dimension to playing live. I wonder if users will use such a feature without worrying about possible damage to the synth. Most synth owners are fairly protective of their gear and I can't help but wonder if this is a feature people will get excited over rather than seeing it as gimmicky. Watch Joerg demo the synth and decide for yourself. The Virus synthesizers have been making an impact on the music scene since they were first released back in 1997. The sounds of the Virus ranged from warmth and beauty to fat and aggressive. The Access Virus TI series is capable of integrating directly with your computer and acting like a VST directly in your DAW. Every function and parameter is available in a user friendly interface. The user VST interface on the Virus TI greatly simplifies the more complex aspects of the synth. It really does make the experience much easier than diving into menus on a small LCD screen. Creating a custom arpeggio was especially easier to do using the interface. You may just find yourself twisting knobs less and less once you've learned the VST interface. The Virus TI comes with a huge bank of 4000 presets. There are dual multi-mode filters that play a huge role in the unique characteristics of the Virus sound. In fact the sound of the filters can be heard in most dance music today and have become a modern classic. The Virus covers a fair number of genres from trance to hip hop but most people recognize the impact it's had in dance music. You will probably hear more instances of the Virus in dance music today than you would hear something as common as a Roland or Moog synthesizer. The effects on the Virus also help to distinguish its sound. The reverb in particular sounds very nice and is used fairly often in the presets. There are numerous types of distortion to choose from to mangle and destroy your sounds with. Some of the greatest sound designs can simply come from experimenting with the endless options in the effects section of the Virus TI. If you're looking into getting a Virus TI I would probably recommend searching on ebay because Access only sells the newer Virus TI2 right now. There are often some great deals for a used Virus TI. This is one synth that is definitely worth your time checking out. The JP-8080 synthesizer brings back some fond memories. The best things I remember about the JP were the Feedback Oscillator, Super Sawtooth Oscillator and the filters. Many people I've talked to don't like the filters on the JP but I've always enjoyed the way they sound. Granted, they aren't fat and lush sounding like an analog synth or even a Virus but they have a zippery effect to them that is like ear candy for many people. The JP-8080 comes with a very basic sequencer called the RPS (Realtime Phrase Sequencer). Basically the RPS allows you to assign different sequences to individual keys on your keyboard. It can be a fun effect to change sequences in real time but the sequencer doesn't have much in the way of depth. The motion control function however is a nice touch by allowing you to record a new motion with every pass of the looping sequence. This can allow for some very complex, atmospheric and interweaving patterns. The worst feature on the JP-8080 is definitely the overly aggressive amplifier envelopes. Sometimes it's difficult to create a sound with a fast attack that doesn't pop or click. Slight adjustments can be made to the attack and release times to alleviate this but it's a shame it's an issue at all. The JP series is no longer in production but from time to time there are used JP-8080 units available on Ebay for as cheap as $400. It's definitely a synth worth looking into. The Korg Electribe ER-1 was one of the first electribes ever made. The ER-1 is a drum module capable of some interesting sounds. Marketed as a drum synth it has 4 parts synth and 4 parts sampled. The ER-1 was capable of some very interesting sonic movement and as heard in the video. There are some especially nice effects similar to time stretching when adjusting the timing of the built in delay. These effects can give the entire drum pattern a shaky and wobbly sound. The unit itself feels well-constructed and dependable. The ER-1 has been discontinued by Korg and replaced by their new Electribe lineup aiming to be more of an all in one package. If you are interested in finding one you can probably still find the ER-1 on Ebay.